Note to readers: Occasionally I make a post like this one, which is not related to my work as a benefit auctioneer Virginia. A friend alerted me to this. 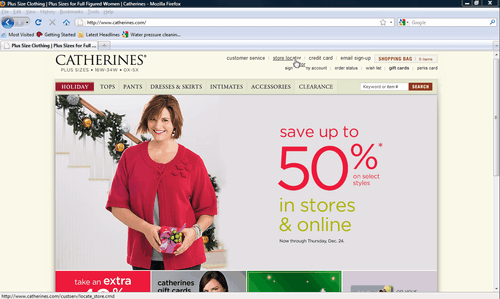 Catherine’s is one of my plus-size modeling clients. I’m featured on their Website home page this week. Fun! About last night… Proof these auction ideas work! How many live auction items should you sell?